We use it because it’s easy and keeps us from having to spend extra time in the kitchen when there is work to be done (Meegan) and running to be done (Tara). The recipes we’ve been finding have had pretty limited ingredients but the flavors at the end of the road has been magnificent. 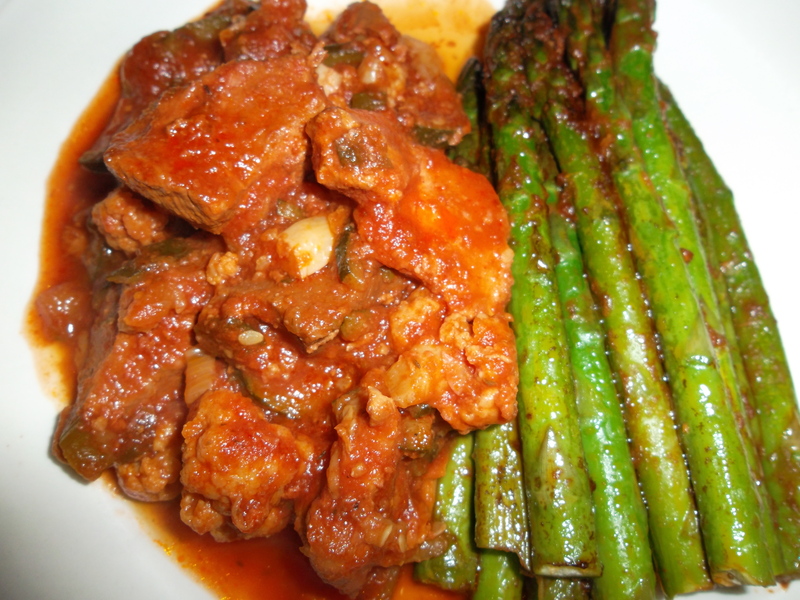 We’ve been spending a lot of time looking for Paleo slow cooker ideas and came across this recipe over at Paleo Plan. We changed very little of the original recipe. We added green onions and of course a main staple in our house: garlic (and lots of it). Add tomato sauce, basil, salt & pepper. – Side Note: Because our slow cooker is of the small sized variety (soon to be exchanged for a larger one), we had to cut the pork loin into smaller pieces. 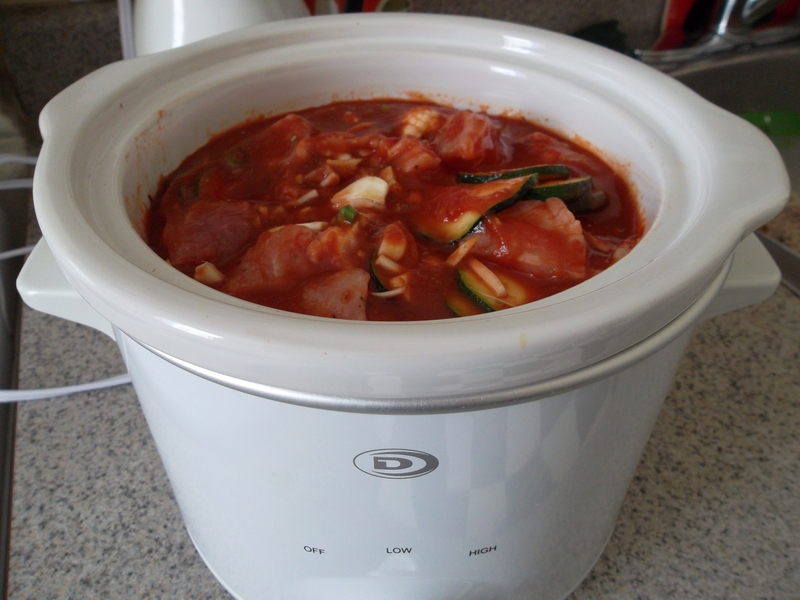 If your slow cooker is larger you may (or maybe not) want to keep your pork loin in larger cuts. Really it’s more of a preference thing. Hi Renee! Yes, we are doing more paleo style eating. I (Meegan) have been more paleo based for a while. Tara is just learning the ropes (and I think enjoying it). We’ve found some great sites and recipes to try and enjoying the new stuff!